Welcome to Open4rent’s real estate advertising portal. To clarify, our portal includes three dedicated websites for advertising real estate properties. Most importantly, you get to decide which service best meets your needs. For example, if you want to advertise a residential rental property you would advertise with RentEzy. Whether you are a private home owner or property manager, you can advertise your residential rental properties on RentEzy.com.au. Sign up and start advertising for FREE now. 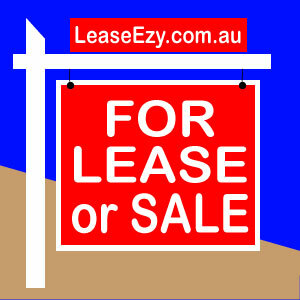 If you have a commercial premise for lease or sale in Australia, you can advertise it on LeaseEzy.com.au. Private home owners and agents can advertise residential homes for sale on SellEzy.com.au. To cater for everyone’s needs, a range of advertising packages are available. Firstly, we are a family based business located in Brisbane, so when you advertise with us you are supporting an Australian business which employs local people. Secondly, you’ll receive cost-effective and quality online real estate advertising services for residential and commercial properties. This includes private and managed listings. Thirdly, when you use Open4rent’s real estate advertising services, you are assisting us to build affordable housing projects, to connect more people with homes. Lastly, as we grow, so does our contribution to other charities which support people suffering from temporary or permanent homelessness, for example The Smith Family. 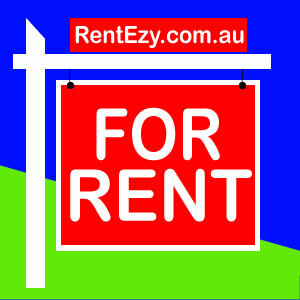 RentEzy.com.au is Open4rent Pty Ltd’s portal for advertising residential rental properties in Australia. First time users can start advertising for FREE by activating one of our trial advertising packages. Because we want to help tenants access a broader range of rental properties, we list private and managed rental homes. Also, we advertise a wide range of types of rental homes. For example: houses, duplexes, townhouses, apartments, units, flats, rooms for rent and shared accommodation. Because commercial properties have different requirements for advertising, Open4rent Pty Ltd has a separate portal for advertising commercial properties for lease or sale in Australia called LeaseEzy.com.au. To show you how easy it is to advertise with LeaseEzy we offer FREE advertising which will allow you to advertise your commercial premises immediately. We also offer a range of advertising packages to meet your future advertising needs. Most importantly our easy to complete online advertising form will take less than 10 minutes to complete. Ensuring your premises for lease will be published and accessible online instantly. SellEzy.com.au is Open4rent Pty Ltd’s portal for selling residential homes in Australia. Sometimes homes are rented until they are sold. For this reason, you can advertise the property for sale on SellEzy.com.au and for rent on RentEzy.com.au. Property owners and agents can advertise residential homes for sale on SellEzy by purchasing an advertising package. In addition, we offer a range of advertising packages specifically designed to meet the needs of individuals and agencies. You can choose from a range of advertising packages designed to meet the needs of homeowners, investors, property managers and agencies. RentEzy, LeaseEzy and SellEzy all offer FREE TRIALS for new users. Once you buy an advertising package you can start uploading your property instantly. Start entering property details into our online form, add your images or video and start advertising your property. Your listing will be published on our site immediately. All signed up users and clients get access to a user dashboard. Your dashboard enables you to have complete control over your property advertisements. You can hide, reactivate, delete and edit your rental listings, lease listings or sale listings. Our real estate advertising portal caters for individual needs by providing three distinct advertising services for residential and commercial properties. This means your advertisement is directly targeting tenants looking to rent, entrepreneurs wanting to lease or buy premises, or buyers looking to buy a new home. It’s easy to advertise your property. Simply signup, select a free trial or buy an advertising package, start uploading your property. save your ad and it’s live on one of our real estate portal sites. Whether you are a tenant breaking a lease, home owner, property investor, building manager, property manager, agent or agency, you can advertise residential or commercial properties for rent/lease or sale using our real estate portal. You can advertise your properties, whether they are residential or commercial, for rent/lease or for sale. There’s no lock-in contracts, just agree with our terms and conditions. We monitor all advertisements to ensure they are appropriate. If you are a property manager, agent or agency, then you can promote your services with Open4rent on any or all of our real estate portal sites. You have to be licensed to access these services. Some conditions apply and currently these services are FREE. Advertising residential properties for rent in Australia. Advertising commercial properties for lease and for sale in Australia. Advertising residential homes for sale in Australia. Copyright © 2019 All rights reserved Open4rent Pty Ltd.